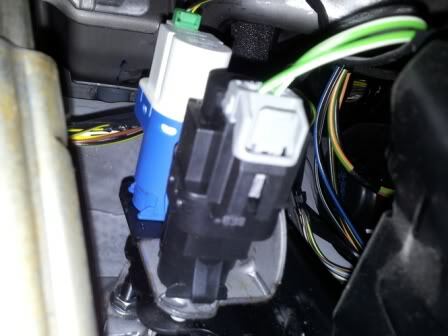 HI guys, thought id do a guide on how to install cruise control, which I done on my model. Anyways lets do some preliminary checks. 2. 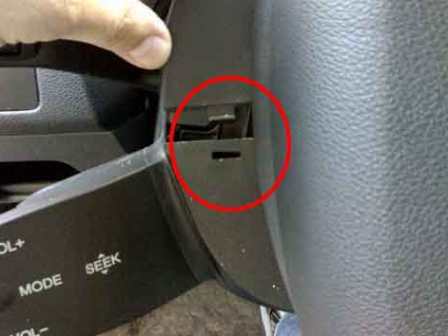 Now time to check your steering wheel connector. there are 2x torx 25 screws under the cowling which will need taking out. Turn the steering wheel 90 degrees in each direction and push the tabs shown on the pics below. Remove the top plastic shroud followed by the bottom. 3. 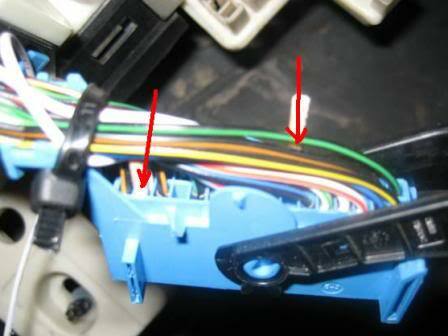 Now there will be the connector as shown in pic 4. look for a brown and white wire as in step 1. The other 4 are for the horn and airbag....DO NOT PLAY with these. So far so good...Now time to check if switches are present. 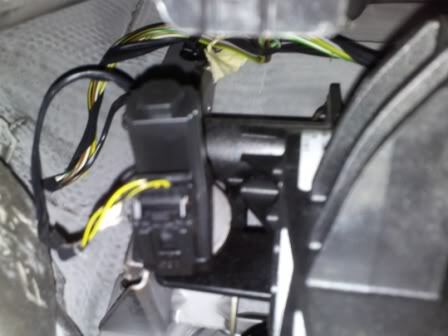 2. check your clutch pedal - should have 1 black connector. 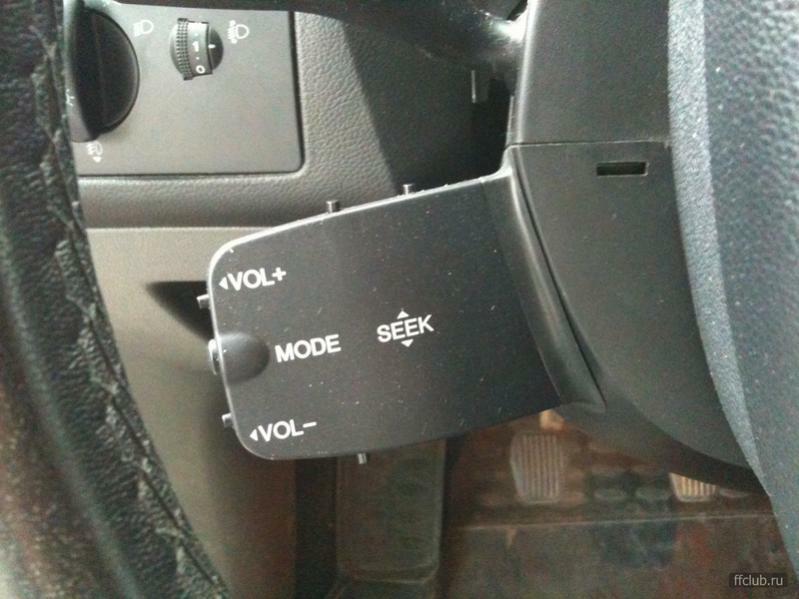 Now this is where it splits on how you want to go ahead and get cruise switches. The Budget edition (which I did) or the more expensive way. This post will cover the expensive way. 1. buy yourself a four spoke steering wheel with cruise control switches on the side, please note the steering wheel from the cmax does not fit the focus. 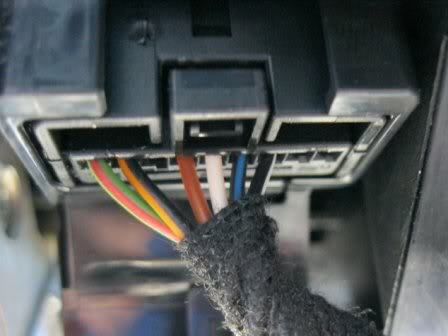 2. remove your steering wheel and airbag and replace with your new one plugging into the connector where you found the brown and white wire. 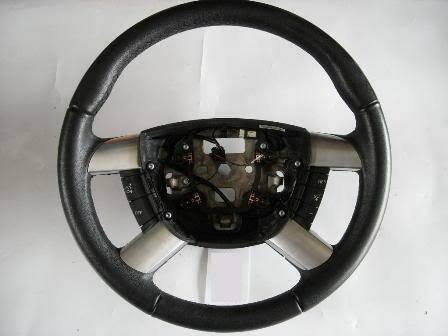 What I did to get cruise; as I don't want to remove the steering wheel and airbag as knowing me I'd get it wrong. anyways I found the circuit schematic for the cruise control. Well anyways I used the 2nd picture for a circuit diagram to where to put the resistors and buttons etc. 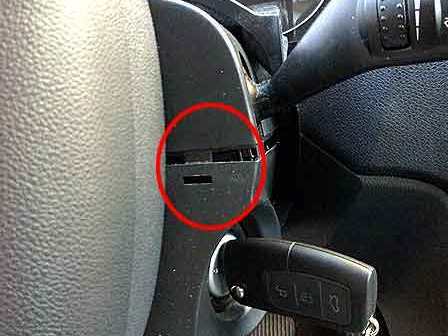 I then placed the new circuit into the radio stalk as something similar to the 3rd picture and hooked it up to the brown and white wire under the steering wheel. Once I had all this connected up I got my IDS out and activate Speed Control on the GEM, PCM and IC - All needed recalibrating but for some reason ford let me connect and download the calibration. 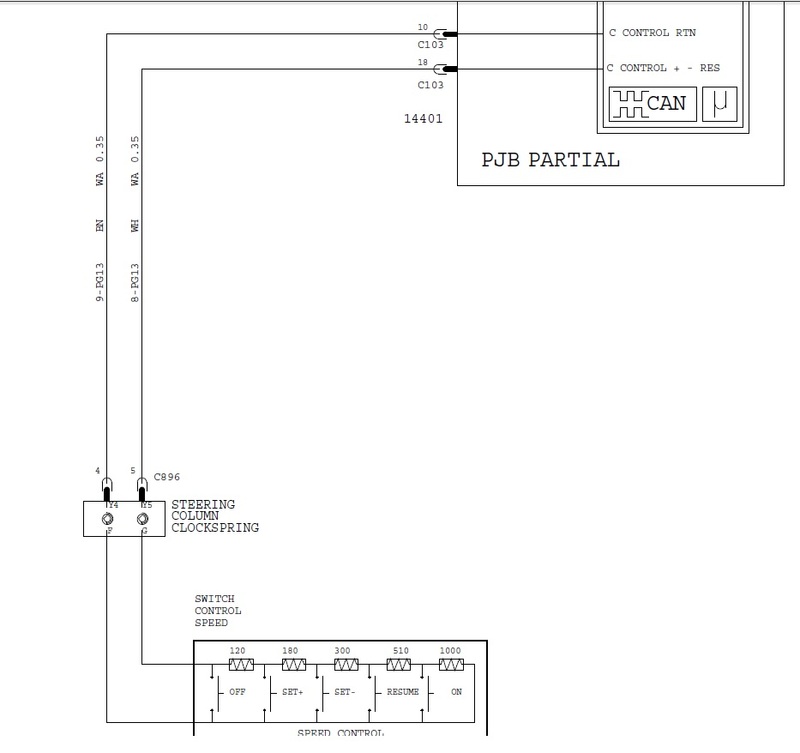 Thats fantastic, just got a Focus 2010 and checked all the switches you have mentioned and its all there!, I am just ordering all the components above and am getting to work on this right now!!! I am just down the road from you, and hoping if i get it all wired up that you may be able to help activating and checking it for me....please? Thanks, was wondering how you stuck the switches to the inside of the stalk, do they come with sticky tabs or do you have to superglue them in? was also wondering if there was clearance to fit the 3.5mm buttons instead of the 6mm and still be able to press them? Last edited by p4vvs; 22-06-13 at 11:03 PM. Reason: spelling mistake! Thanks for the info, will take the stalk off tomorrow and get to work once the parts arrive early this week I hope. 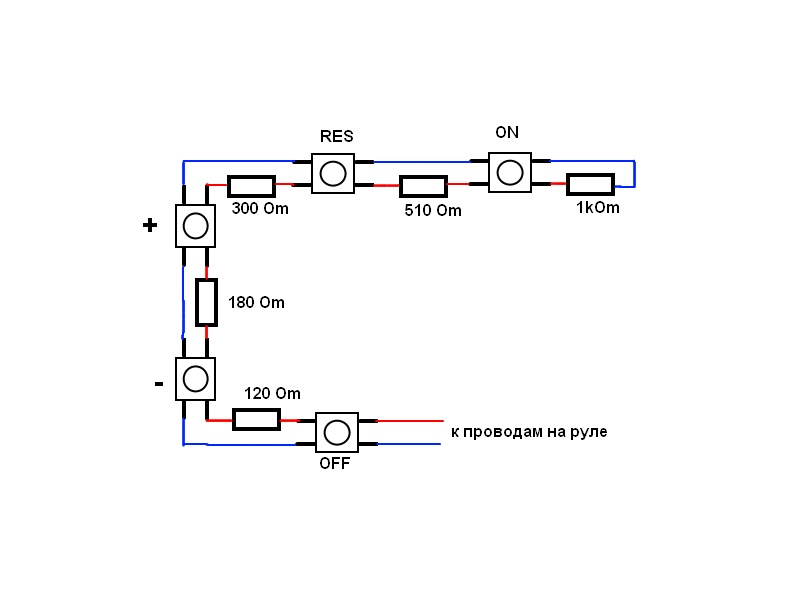 1 final question (I hope), on the second circuit diagram what do the blue and red wires correspond to? i.e. which one goes to the brown and which to the white, does it make a difference? Last edited by p4vvs; 23-06-13 at 08:30 PM. Reason: spelling mistake, again!